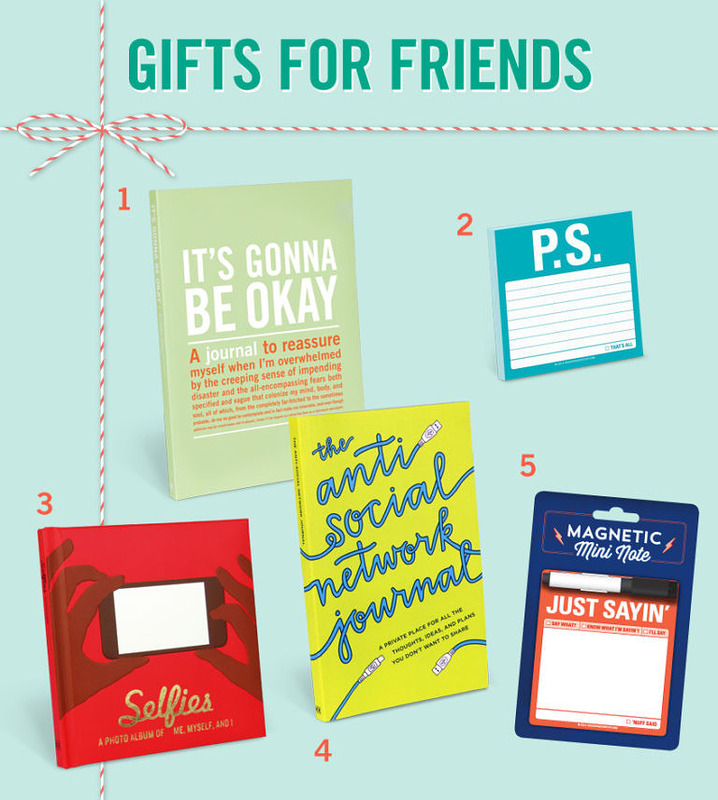 Remind your pals why they're your favorites with these witty gift ideas. Happy Valentine’s Day, friends! We hope that at this time you’re devouring chocolate and basking in good feelings. If not, watch the video above and hopefully it’ll change your tune. Friends are the best. 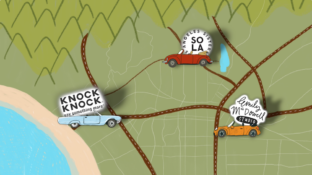 They deserve a gift, or four. 1. All Out Of Pad in pink, blue, and red ($7.00 each) 2. Coolness Graphed ($12.00) 3. My Pet Peeves Mini Inner-Truth Journal ($10.00) 4. Whatever Sticky Note ($3.99) 5. Dinner Party Guest Book ($15.00) More gift ideas for friends here. 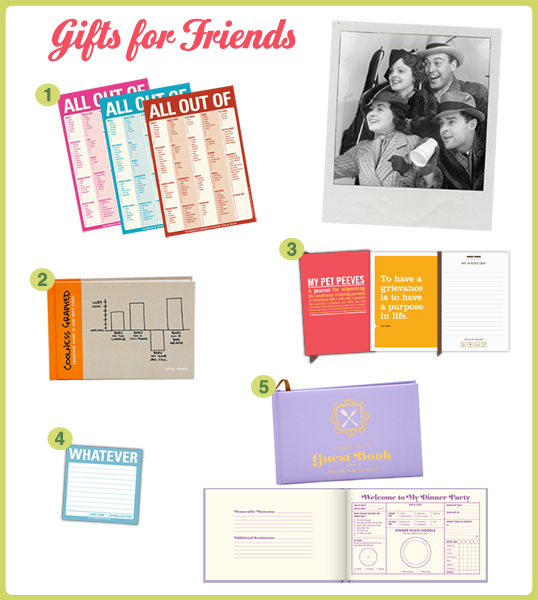 See all our gift guides here. The Winner Of Our Show Us Your Stuff Weekly Giveaway Who Won $50 Worth of Our Stuff? 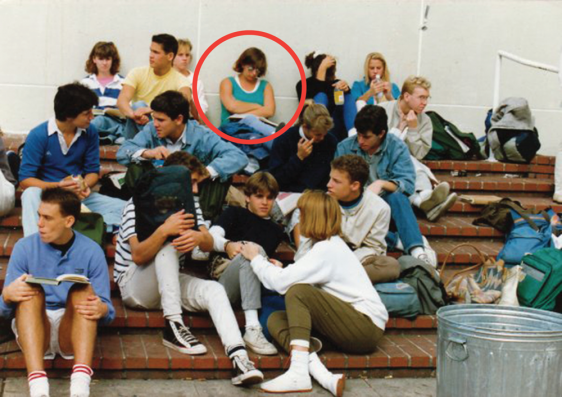 I was tagged on Facebook in this picture from high school (I’m the person I circled in red). I will have you know that I was likely up late studying (note the open book on my lap), not partying, which I confined primarily to weekends. FAQ: Berkeley High School; Berkeley, CA; senior year, 1986/87.